I wasn't keeping too well, so I missed Bigg Boss for a couple of days. But as soon as I recovered, I was back in front of the TV to watch all the Weekend Ka Vaar drama. This was the first time this season when Salman didn't bash or school any of the contestants. Instead, he left it to their family members. In case you're wondering what I am talking about and who got evicted this weekend, we have the highlights for you. Read on to find out! This Weekend Ka Vaar episode kicked off with Salman Khan inviting Riteish Deshmukh on stage to promote his upcoming Marathi flick Mauli. He spoke about the film and revealed that he was playing a cop in it. Salman and Riteish had a lot of fun on the stage and entertained the audience. Riteish entered the house and conducted a fun task with the inmates. Playing a cop, he filed FIRs against contestants and it was a laugh riot. Jasleen and Somi were asked to enter the akhada for their face off. Salman told Romil to decide who wins the points in the verbal round. The winner had to slap the other person with a cardboard hand. The first point was won by Somi and she slapped Jasleen with the cardboard hand. The second point was won by Jasleen and she took revenge with another slap. The third point was again won by Somi. So, Somi won the first round. For the second round, both Jasleen and Somi were tied to the same harness and they had to put flags in the opposite directions, thereby pulling each other. Jasleen won the second round and she won the Sultani Akhada task. 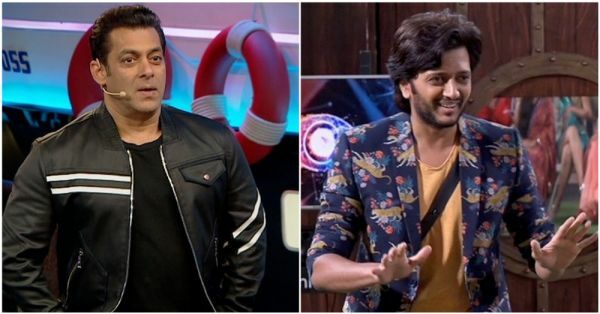 Salman invited Sreesanth's wife Bhuvaneshwari, Karanvir's wife Teejay Sidhu and Surbhi’s brother Abhinav for a chat on stage. Salman started with quizzing Abhinav. He asked her if his sister Surbhi behaved the same way at home. He tried to defend her, but was cornered by Bhuvneshwari and Salman. Bhuvneshwari apologised to him on behalf of her husband Sreesanth for his comment on Surbhi. Bhuvneshwari also told the audiences that Sreesanth has been given a clean chit in the match-fixing case. Teejay and Bhuvneshwari told Abhinav that Surbhi's behaviour is the root cause of all fights in the house and how she uses the 'woman' card as per her convenience. Abhinav tried his level best to defend Surbhi, but failed miserably. In the garden area, there were three cardboard masks kept with Romil, Jasleen and Megha's faces on them. Salman told that the contestant that when a face mask blasts, that contestant will be eliminated from the house. 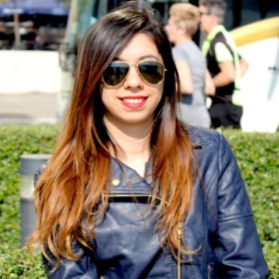 The first blast happened on Jasleen's face, and she got evicted from the house. Right after that, Salman announced that there would be a double eviction. Megha's mask blasted next and she also got evicted from the house, too. Salman announced that Sunday onwards there will be a 'Family Week' in the house and signed off. Sunday morning, contestants were given a luxury budget task called Remote Control. Contestants had to pause, play, rewind and fast forward as per Bigg Boss' commands. Surbhi's brother Abhinav entered the house and interacted with all the housemates. He hugged Surbhi and asked her to be the strong woman that she is. Right after he left, Bigg Boss commanded the housemates to pause. That's when Sreesanth's wife Bhuvneshwari entered the house. She kissed him on the cheek and hugged him tightly. She went to Surbhi and bashed her for being a hypocrite. Bigg Boss said, "Play" and Sreesanth ran towards his wife. The next morning, Deepak's dad entered the house. Both of them cried and he told Deepak that he was proud of him. He also added that he would never approve of Somi. Rohit's mom came and met him in the confession room and Karanvir's wife Teejay entered the house with their kids. Karanvir broke down on seeing them.